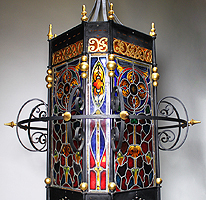 A Palatial Italian 19th Century Baroque Style Wrought Iron and Vitreaux Stain Glass Paneling Entry Eight-Light Grand Hall Lantern. 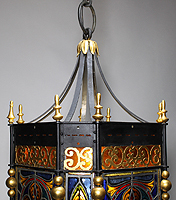 The square black painted and parcel gilt iron frame with flat corners, surmounted with a circular and a scrolled decorated iron fender with spearheads. 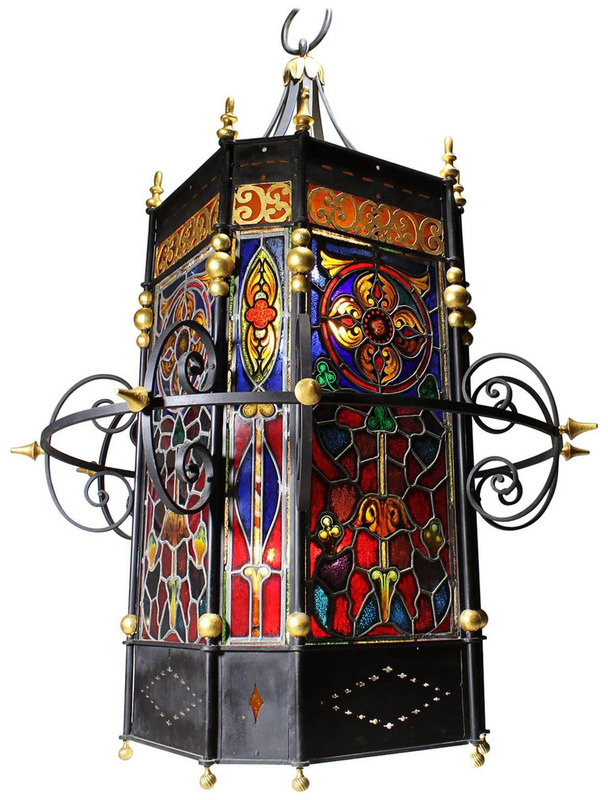 All sides with eight mounted stained glass panels decorated with floral arrangements, acanthus and an array of different colored glass pieces. 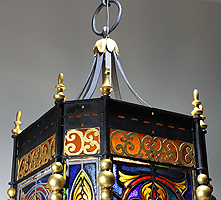 The top with a yellow colored glass background behind a roughly cut and gilded pierced apron with spearheads atop, all supported by eight banded supports with a gilt floral cap ending with a ring. 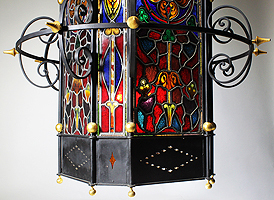 The stained glass panels are circa Florence, 1880, the iron frame is circa Florence, 1900's.